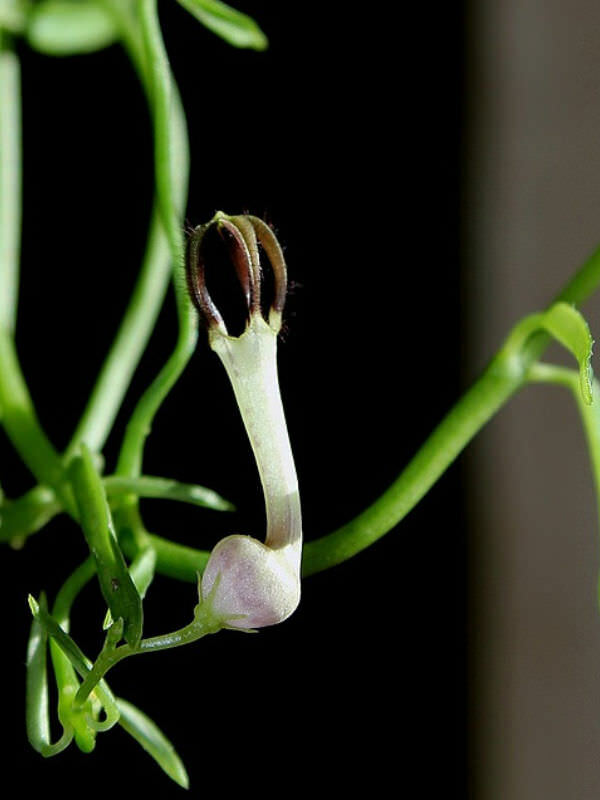 Ceropegia linearis is a semi-succulent, climbing plant producing a cluster of slender stems up to 6.6 feet (2 m) long from a tuberous rootstock that is up to 1.2 inches (3 cm) in diameter. 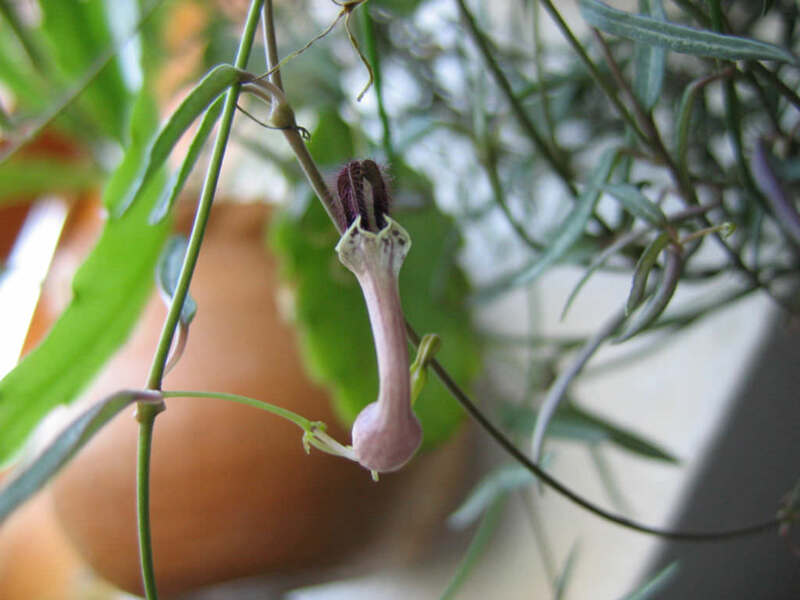 The flower is in general form similar to those of other Ceropegia species. The corolla grows to 1.2 inches (3 cm) in length and is a mixed colouring of off-white and pale magenta. A gritty compost is suitable, and clay pots help with drainage, especially for the species with white thickened roots which are the most susceptible to rotting and for species forming large tubers. Ceropegias appreciate water and a little fertilizer during warm weather, although some care with watering is required for the more difficult species. 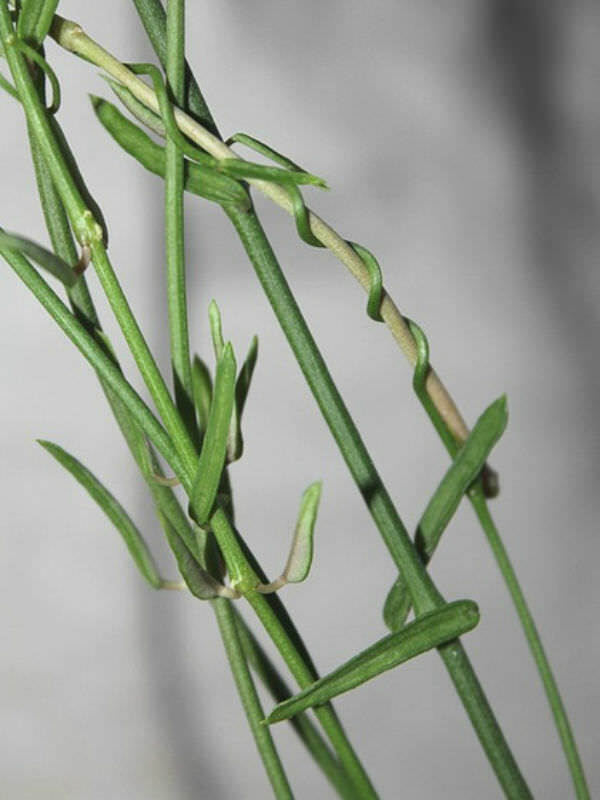 The vine-like species can suffer from prolonged drought. 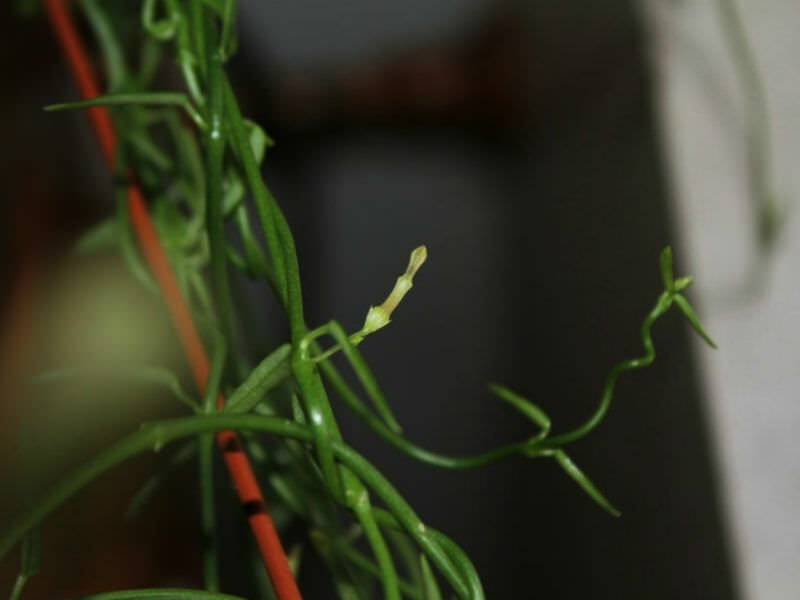 In the more succulent species, stems layered on the compost will produce roots from their lower surface, and climbing reproductive flowering shoots which can be allowed to hang down or twine around supports. 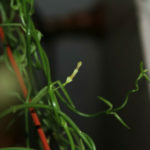 Vine-like species readily root from cuttings inserted vertically in the soil to the bottom of a pair of leaves. A minimum over-wintering temperature of 50°F (10°C) is adequate providing the plants are kept dry. Ceropegia is usually propagated from cuttings. 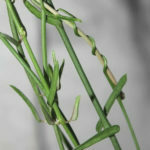 If they is a tuber forming on one of the stems. They can be place against soil in a pot. 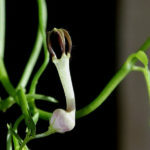 When they have rooted down you can cut the stem and have a separate plant… – See more at: How to Grow and Care for Ceropegia.